A brilliant musical marble run set. Roll a marble down the ringing track, watch and hear it ring a ding off the metal notes either side of the track. 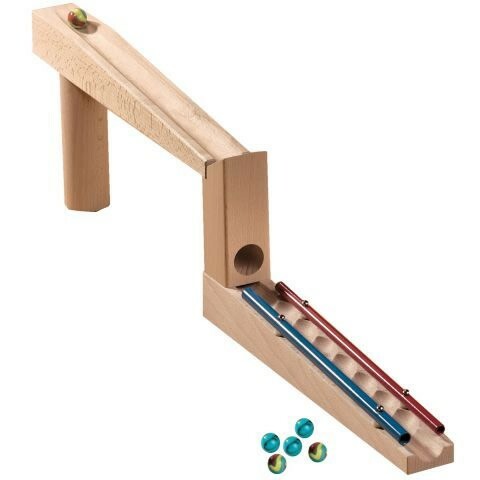 This really will ad some magic to your marble run.